We're always on board for a good bargain, especially when it involves one of our favorite home brands, so when we found out that was having a major sale with everything up to 30% to 40% off, we jumped to the occasion to refresh our homes just in time for the summer solstice. 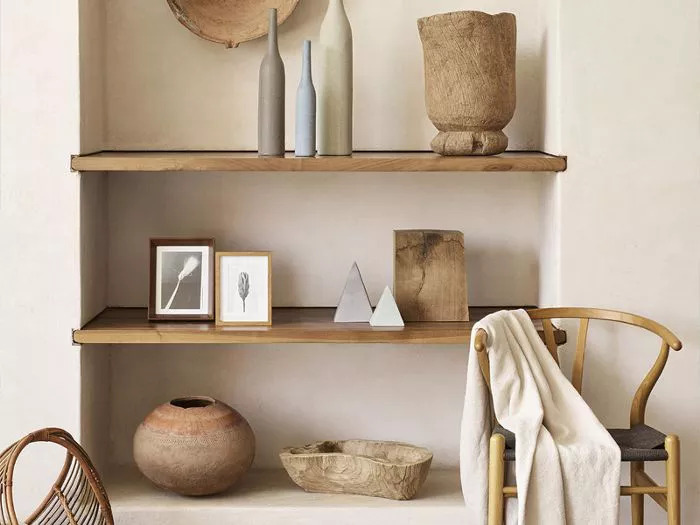 This season, the Spanish retailer has been all about carefree summer vibes with a that you'll want to add to your space immediately, even if you live . Infusing your home with the laid-back essence of a vacation home on Mallorca, a Californian surf shack, or a is easy—all you need is breezy linens, woven accents, and blonde wood tones. Ahead, we've handpicked a selection of our favorite picks to grab right now from the Zara Home sale. Who even needs a summer vacation when our home feels like a beachy haven? 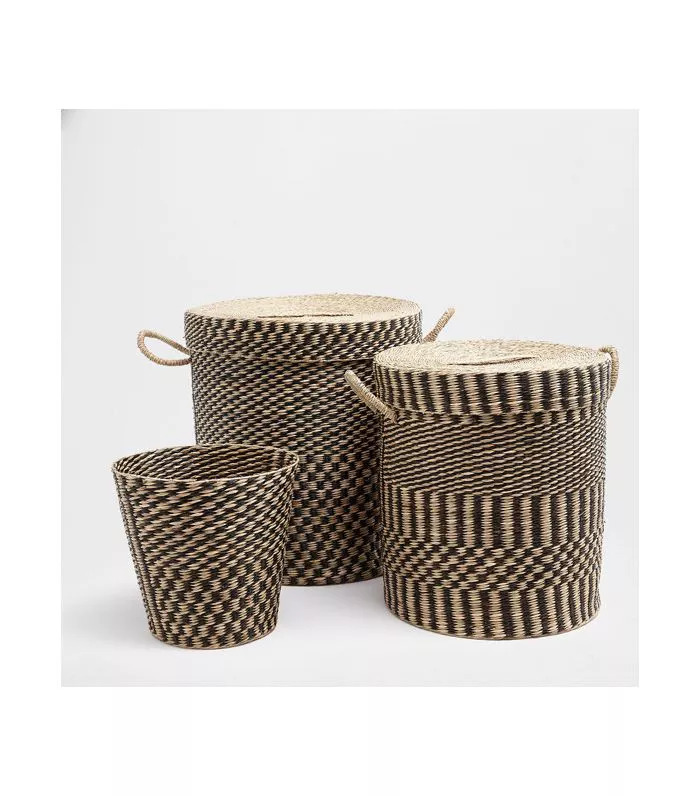 Tackle clutter instantly with this set of woven baskets. 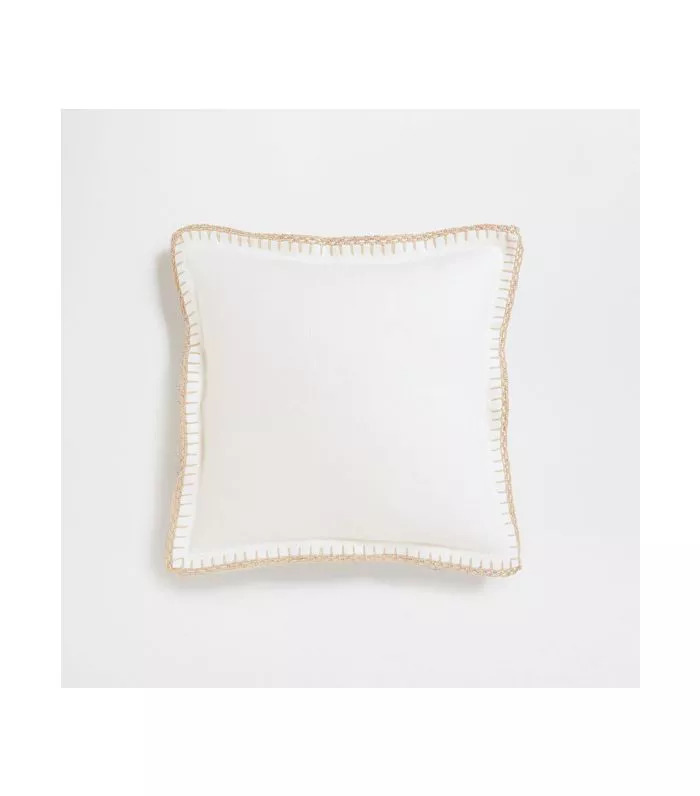 Throw this effortlessly chic pillow on any chair or sofa for an instant summer refresh. 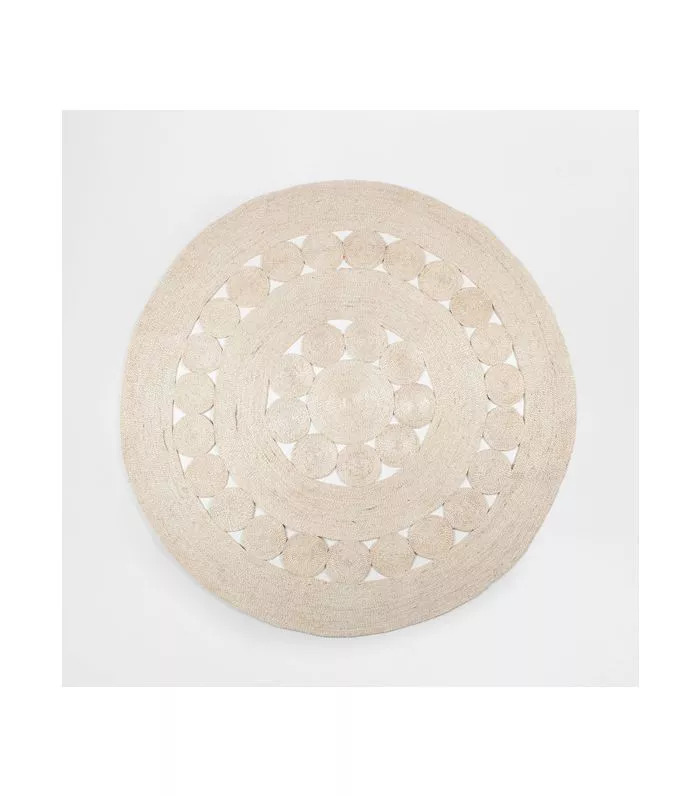 Nothing screams beach house like a round jute rug. 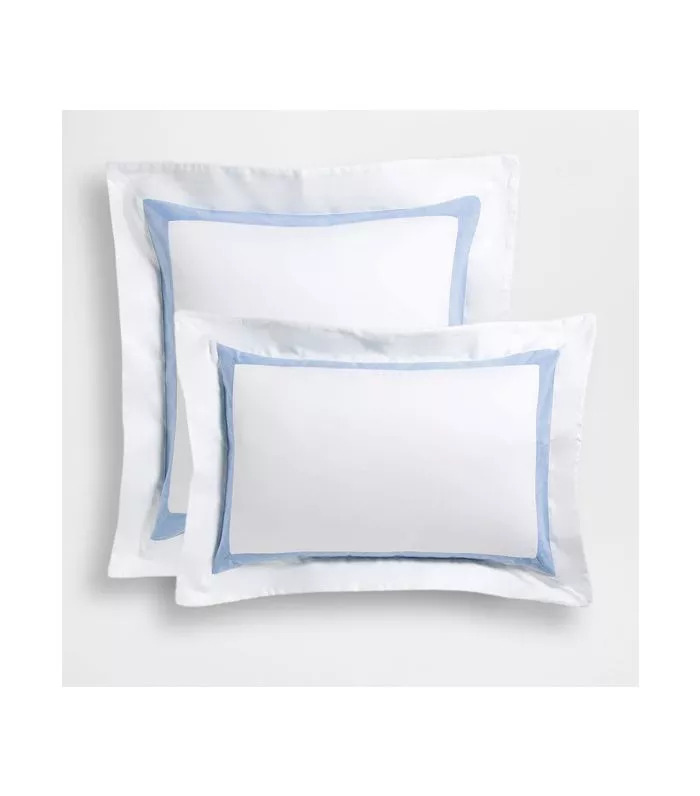 Soft satin sheets with a blue border will make you sleep like a baby. 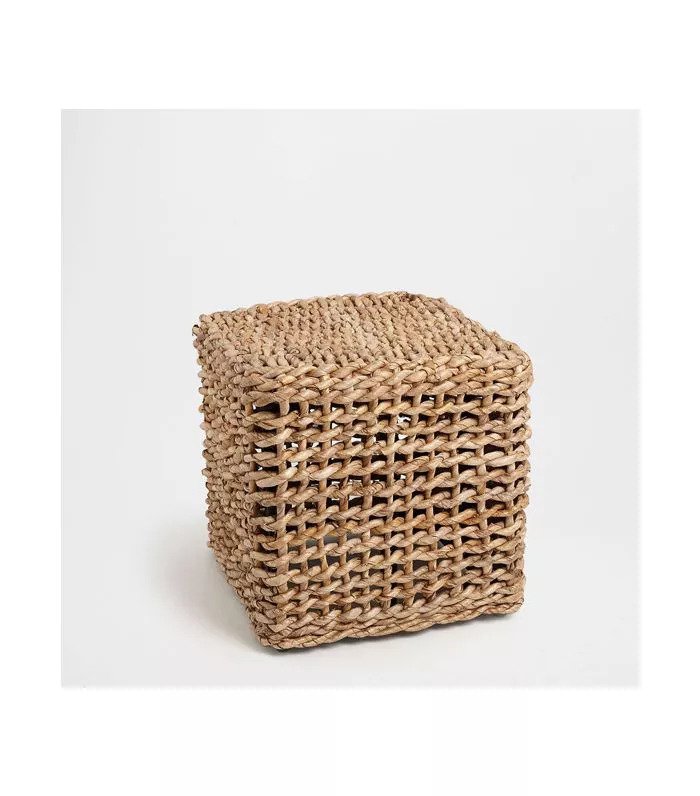 Never run out of extra seating with this cute cube stool. 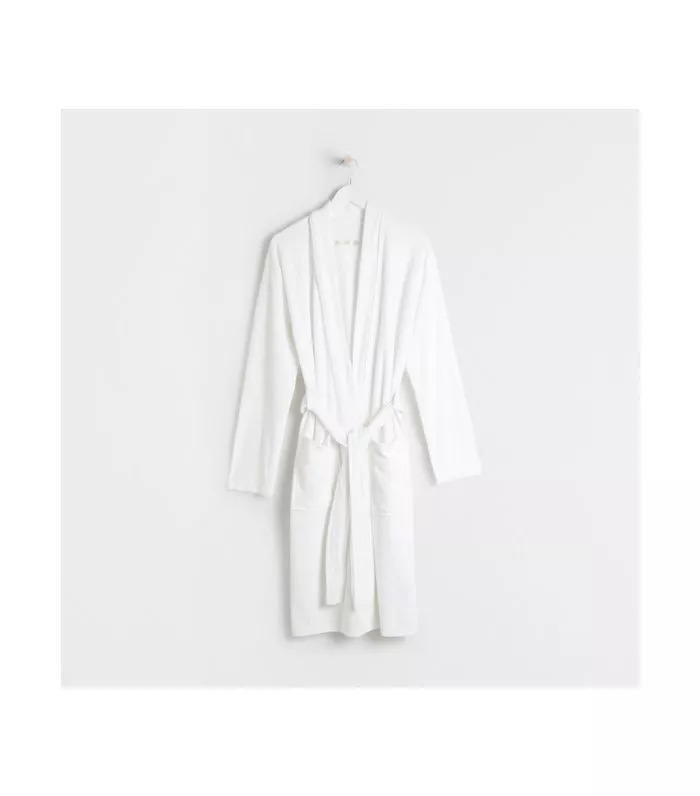 Who even needs clothes when you can just lounge around in a plush robe all day? Who has time for ironing in the summer? 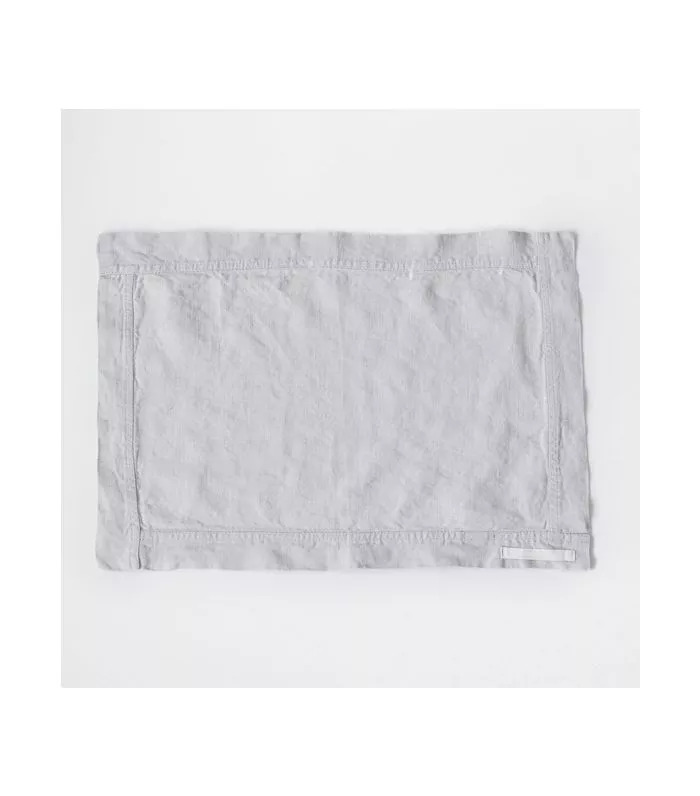 Entertain effortlessly with simple linen placemats that look even better wrinkled. 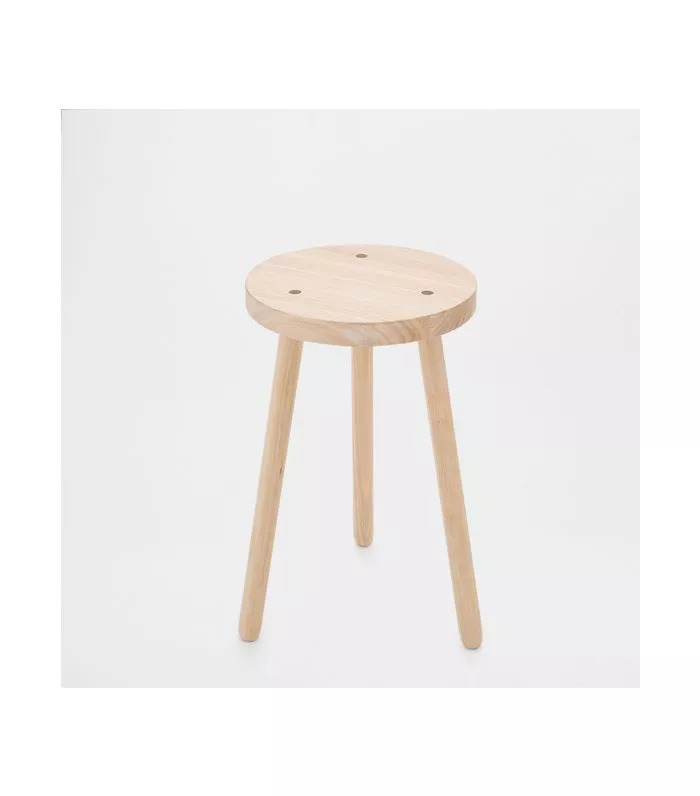 The perfect addition to any room—whether it's next to the bathtub or standing next to a cozy lounge chair. 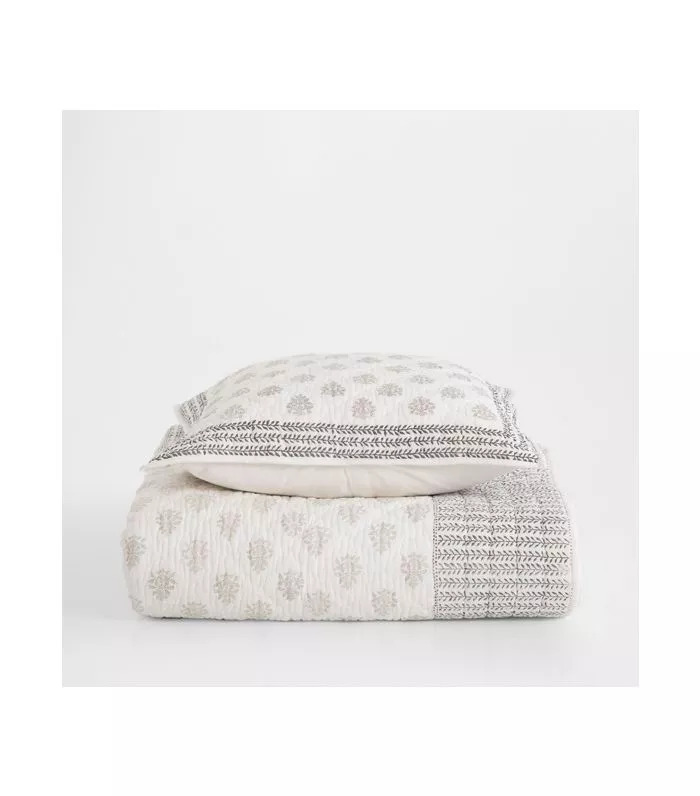 Swap your heavy duvet for a breezy quilt. 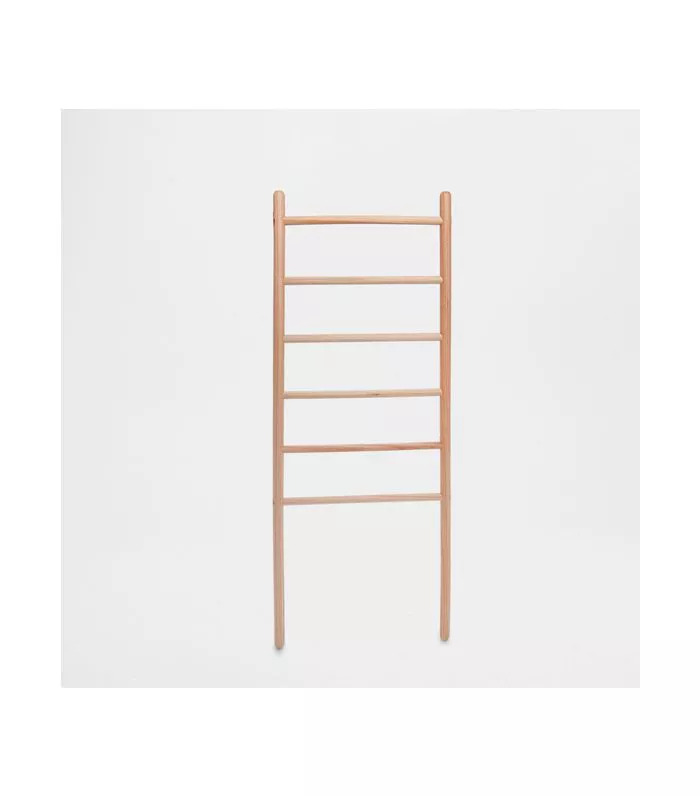 For the bathroom or the entryway, this ladder rack is idea to store all types of towels. Next up: Inside a bright and airy with a boho-chic twist.